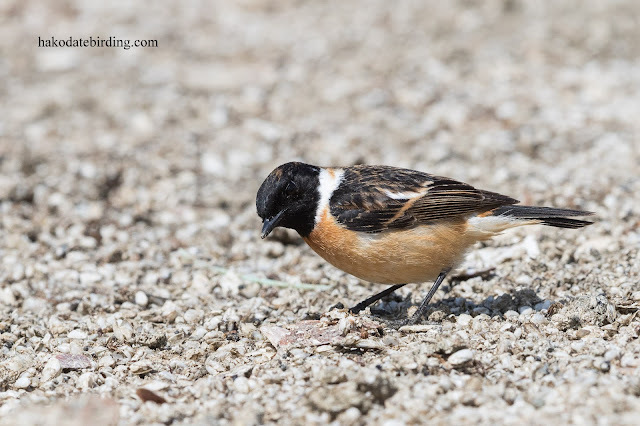 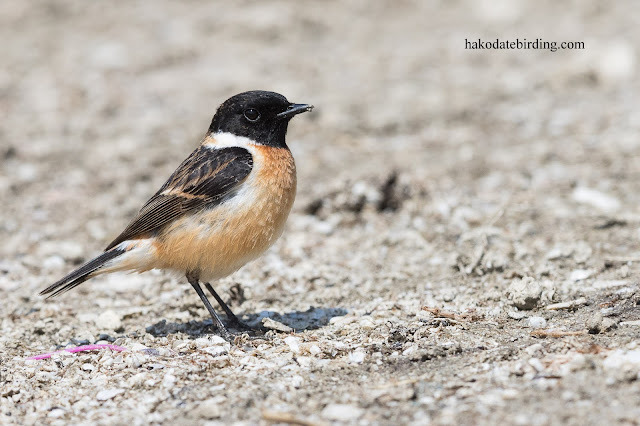 Siberian Stonechats nest in the grass nearby................this male isn't in full breeding plumage yet. 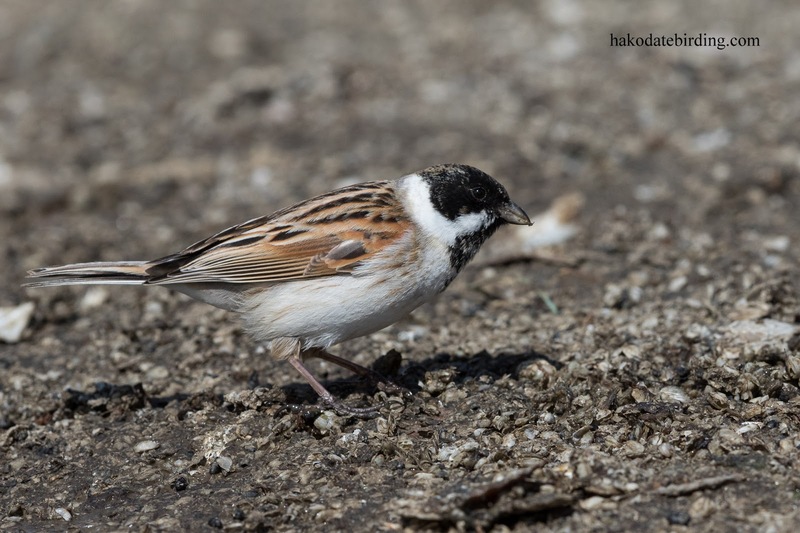 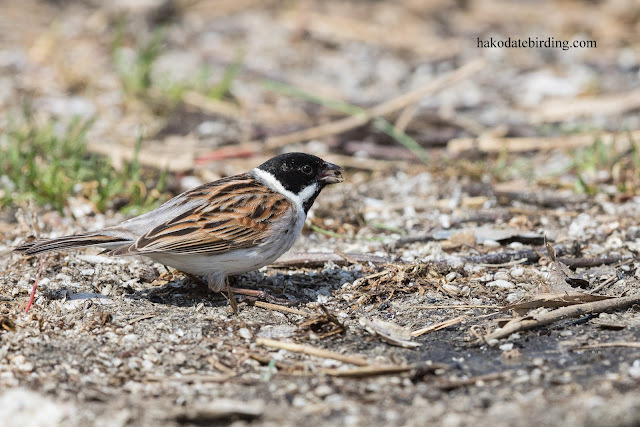 Reed Buntings also nest nearby and are the same species as back in the UK. 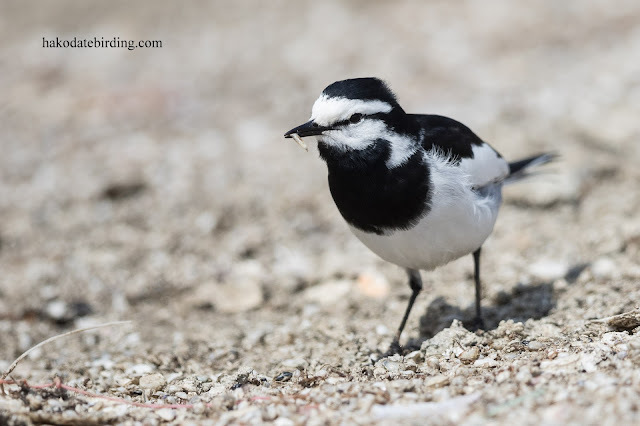 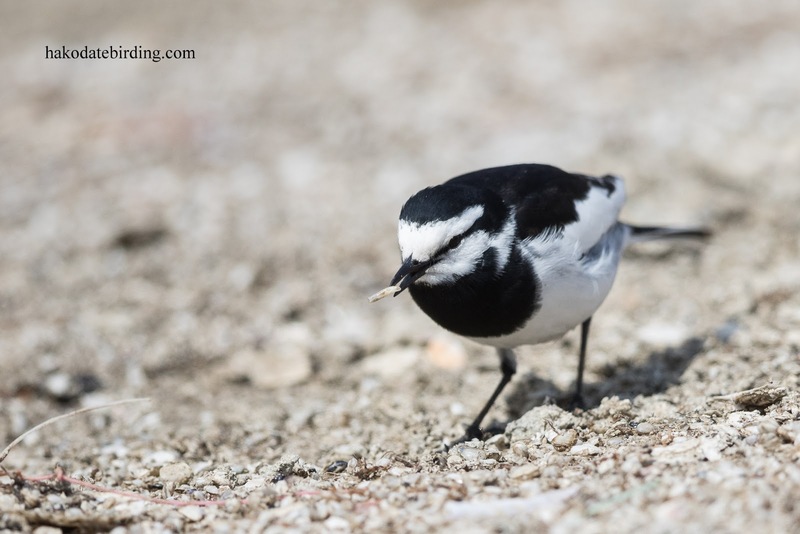 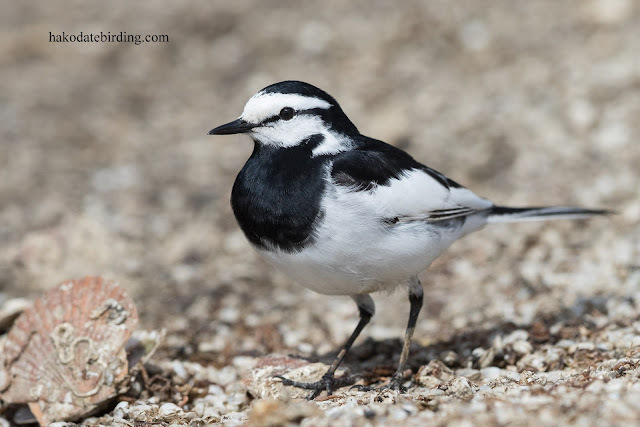 And this is the lcal race of White Wagtail, abundant everywhere in summer. 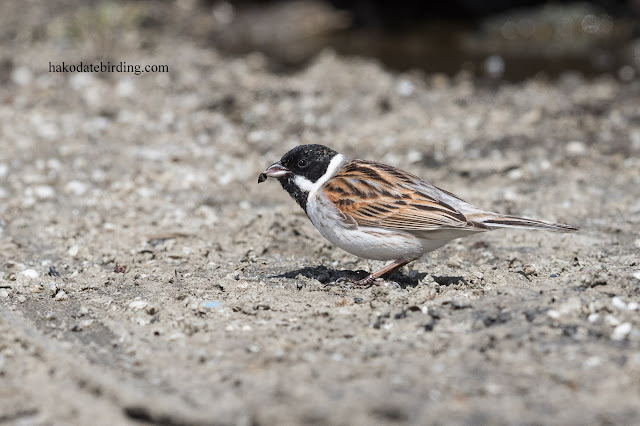 The food source may be a tad repulsive to us but I am sure it represents a highly desirable protein injection for the birds, especially females who are about to lay eggs. I'm sure they are not fussy like you or I, it was an insect smorgasbord and they feasted on it. 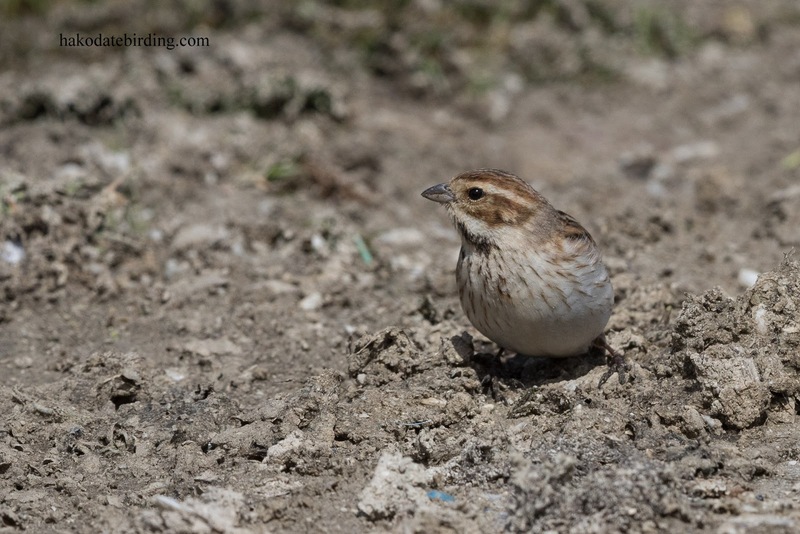 Nice to see the buntings in breeding plumage, our winter visitors are pretty dull.